The current stove is an electric three burner. Electric stoves are simply not conducive to the "Epicurean" name. To make delicate sauces you need the control of propane or gas. 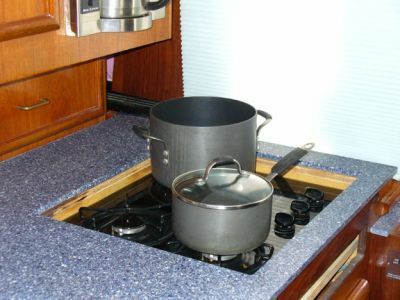 The manufacturer, Seaward, makes many models of stoves for the marine enviroment and have all the accesories needed to make them safe and enjoyable. An additional bonus is that needed amps will be freed up for other uses on the boat. 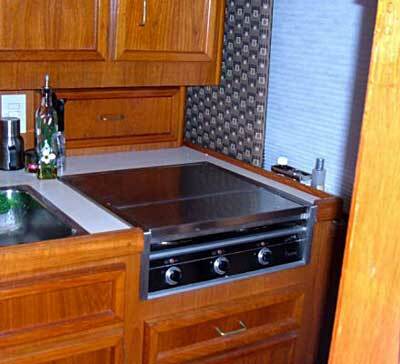 We also plan on installing a one burner stove in the cockpit area for steaming Maryland crabs or for the type of cooking that is better done outside. 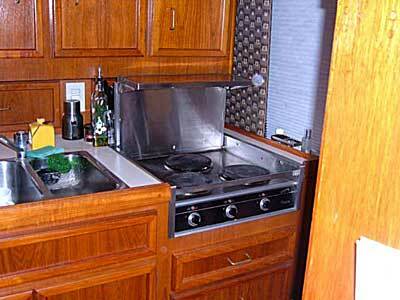 Also note that because the current stove is recessed, it does not allow for larger pots or pans. 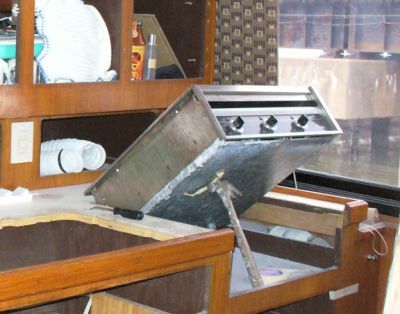 Removing the old electric stovetop in preparation for the new counter and new SeaWard Gourmet propane stovetop. 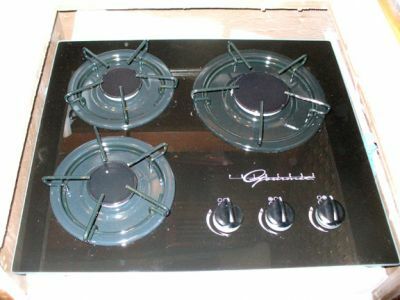 The Seaward gourmet stovetop has arrived. The two burners on the left are 7,000 BTUs and the top right is 10,000 BTUs. The use of gas gives us an immediate response and control needed for making everything from the most delicate sauces to boiling things quickly. Electric simply would not work for this boat. 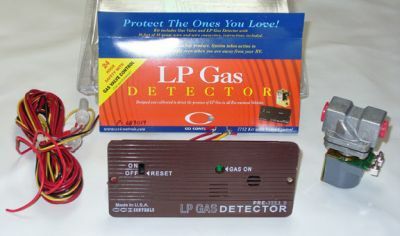 This is the LP Gas Detector and switch from CCI. The solenoid on the right is mounted at the tank which will be located in a vented housing on the bridge. The detector and switch will be located in the galley. Gas is turned on and off with the switch. If gas fumes are detected, the unit turns off the gas automatically and sounds an alarm. We still need to finish the inside edges, but the stove is great. As you can see, it fits some large pots. 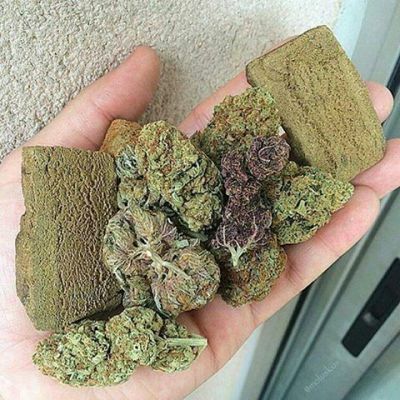 Now we're cookin' with gas.